Nintendo in June confirmed what many had suspected since the NES Classic Edition was announced last summer – a miniature version of its popular Super Nintendo Entertainment System was indeed in the pipeline. The pint-sized machine will come loaded with 21 fan-favorites including Super Mario Kart, Donkey Kong Country, Mega Man X, Super Mario World and F-Zero as well as two wired controllers for $79.99. September 29 has been penciled in as the SNES Classic Edition’s launch date. Given the overwhelming success of its predecessor and the overall love for the Super Nintendo, to say that the SNES Classic Edition will be a hot commodity this fall and holiday season is a massive understatement. Nintendo’s poor handling of the NES Classic Edition (specifically, discontinuing the system despite the fact that demand remains through the roof) has virtually every interested party feeling uneasy at best and downright doubtful that they’ll be able to get their hands on a system without paying a small fortune on eBay or via inflated retail bundles. The fervent demand has all but made pre-orders a necessity. Several major US retailers have said they will offer SNES Classic Edition pre-orders with Walmart being the first to do so last month. Available units were spoken for within minutes, leaving many irritated that they missed their first opportunity to purchase the system. 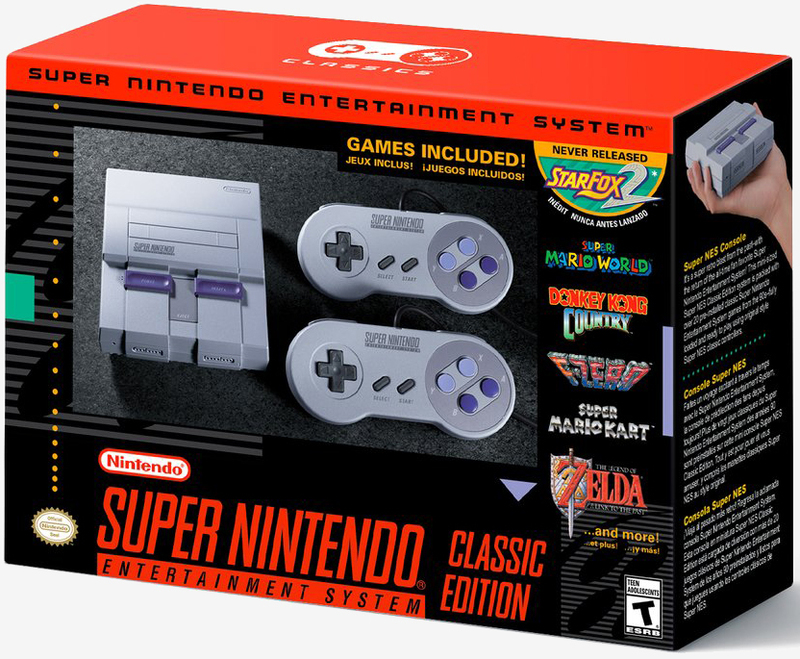 Shortly after, the big box retailer cited a technical glitch and canceled all SNES Classic Edition pre-orders. The situation has only led to further doubt which Nintendo publicly addressed on Tuesday. In a post on Facebook, the Japanese gaming giant said it appreciated the incredible anticipation for the SNES Classic Edition and confirmed that pre-orders by various retailers will be made available later this month. Unfortunately, there was no mention of specific dates which presumably means that each retailer will launch pre-orders on the date of their choosing. Nintendo also noted that a “significant amount” of additional systems will be shipped to stores for launch day and throughout the remainder of the calendar year. That last bit is a bit concerning as it suggests Nintendo only plans to sell the SNES Classic Edition through the end of 2017 or just a little over three months. Nintendo has promised to ramp up production this time around but given its track record and the sky-high demand, there’s no reason for consumers to believe with any degree of certainty that they will be able to pick up a system on launch day without a pre-order. As such, your best bet to get your hands on a SNES Classic Edition is to somehow secure a pre-order. To do that, you’ll want to set up e-mail alerts with retailers or utilize a stock notification alert service like BrickSeek. Once you get that alert, hightail it over to the pre-order page, punch in your information as fast as possible and cross your fingers that it goes through.